Nicky, Geoff and the Cassidy’s Team wish you a very Happy Easter! Open Tuesday 14 April, Closed Anzac Day! Find us online, we live on Facebook and Instagram! Follow us on Facebook and Instagram to stay up to date with latest hair styles and hair products, partner promos and community news! Find us offline, we live on the beautiful Northern Beaches! At Cassidy’s, we want to give you the best style, cut and service. Every time. 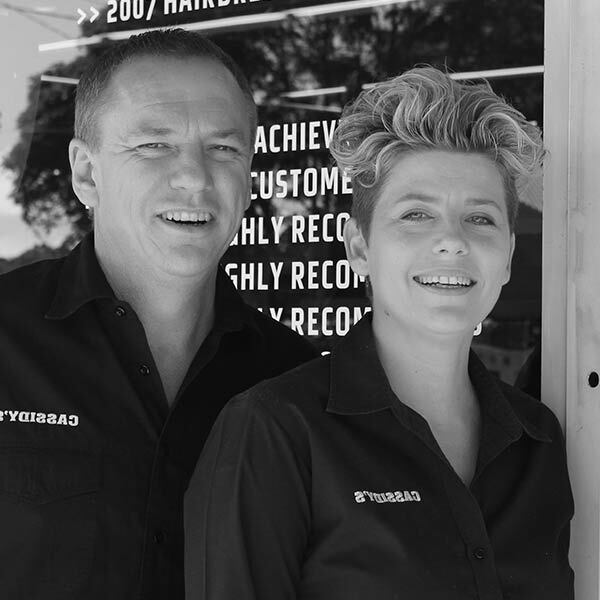 We offer our clients a team of highly qualified specialists in the areas of cutting, colour, perm, creative hair-up and rejuvenation treatments by ensuring staff participate in intensive ongoing training. As fashion is constantly changing, the focus of our work is to bring our clients the most up-to-date hairdressing techniques and trends. We continuously update our salon products to the latest proven and organic technologies. We work together as a team to provide you with the best possible service, and we understand our salon only succeeds because our clients choose us to care for their hair. We guarantee you will be absolutely delighted with our service. Come in and see why it’s different here. From our Freshwater salon to your Instagram feed! Freshwater, Queenscliff, Curl Curl, Manly, Balgowlah, Manly Vale, Palm Beach, Brookvale, Dee Why, Collaroy, Collaroy Plateau, Seaforth, Fairlight, Narrabeen, Mona Vale, Elanora Heights, Bayview, Wheeler Heights, Oxford Falls, Bilgola, Clareville, Ingleside, Warriewood, Newport, Avalon, Whale Beach, Terrey Hills, Frenchs Forest, Forestville, Davidson, Beacon Hill, Allambie Heights, Warringah, Pittwater.